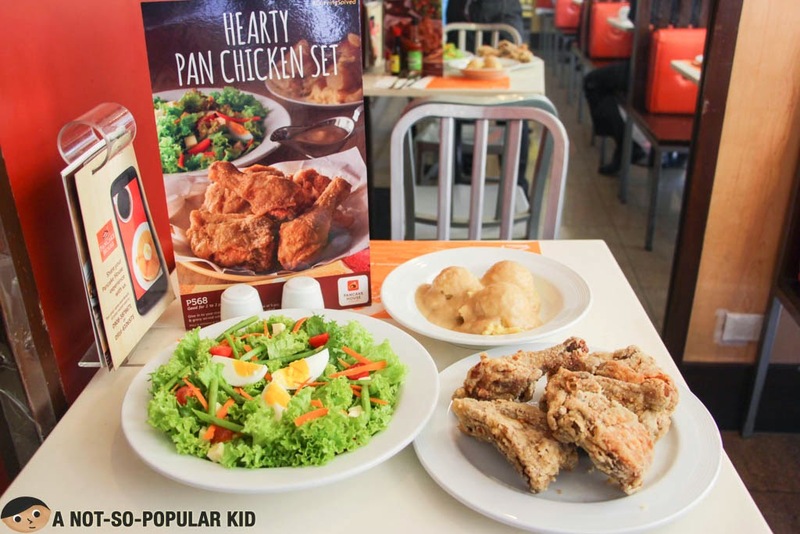 ﻿﻿﻿The season of love isn't over especially here in Pancake House where you can avail of the Hearty Pan Chicken Set. It's definitely good for barkadas and families! 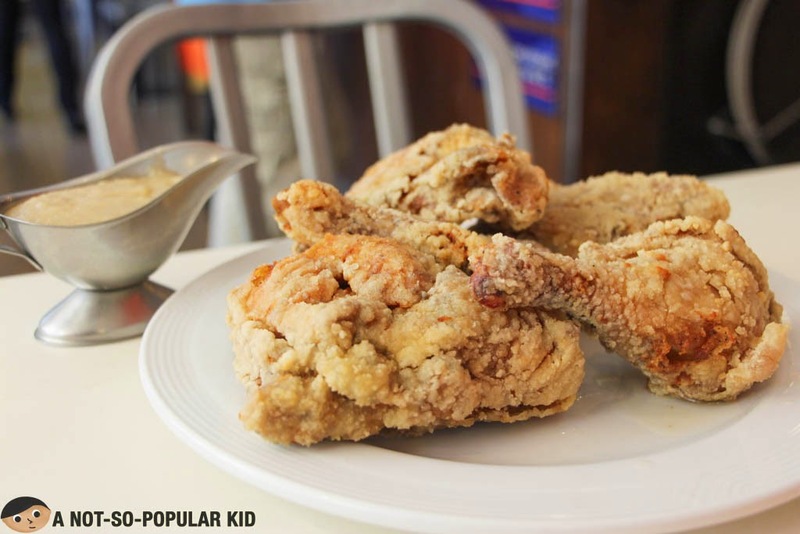 Before we take a look at the interesting sulit meal, let me share with you how much I find Pancake House noteworthy with its amazing line up of familiar, yet added with a twist, comfort food. Yeah, really, In fact, although the ambiance may vary from branches to branches (and most probably the service too), there is this great consistency when it comes to the dishes. For this recent visit, I was invited to try out the Hearty Pan Chicken Set (P568) in the branch most convenient to me -- the Dela Rosa Carpark Branch. Now, let's try to take a peak of its limited edition Hearty Chicken Set. 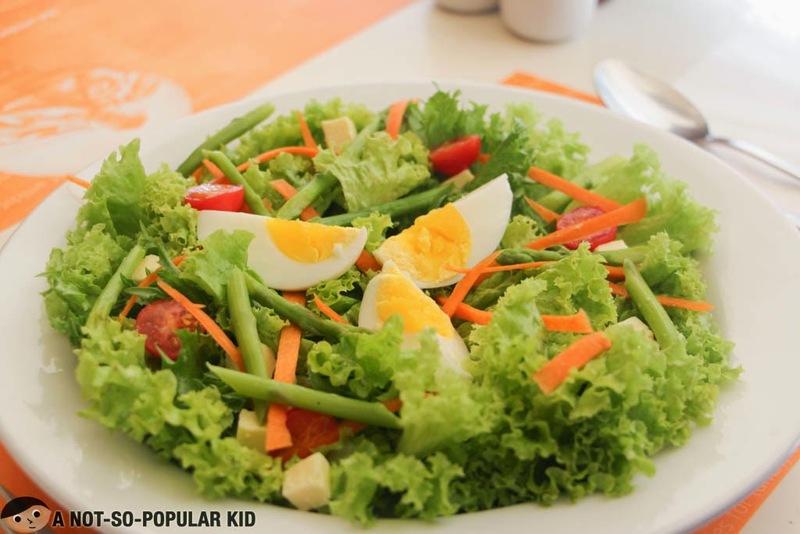 To start off the dining indulgence, we had this house salad containing some boiled eggs, carrots, cheese cubes and cherry tomatoes over the fresh greens. Thousand island dressing is served separately so you can have control over strength or mildness of the taste. Following the enticing salad was the three serving of mashed potato. Although I usually love my mashed potatoes creamy, I enjoyed the chunkiness offered by these mashed potatoes. 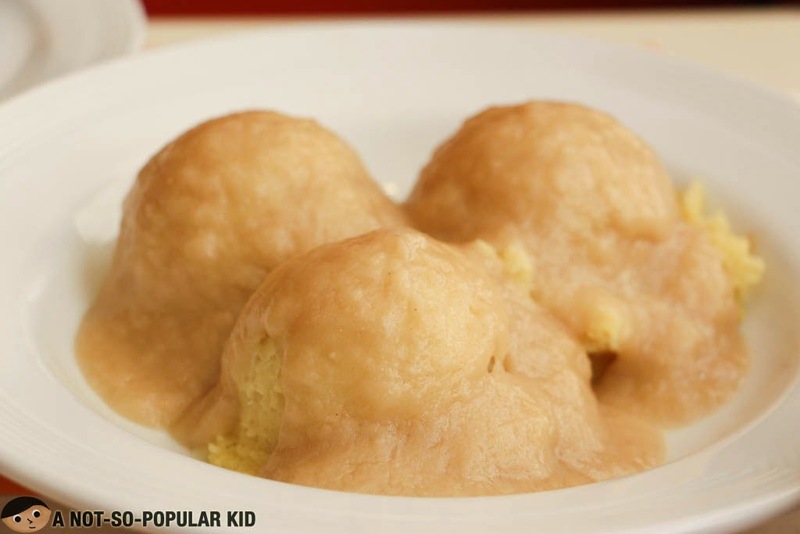 Pour more gravy as you increase the fun with this one. 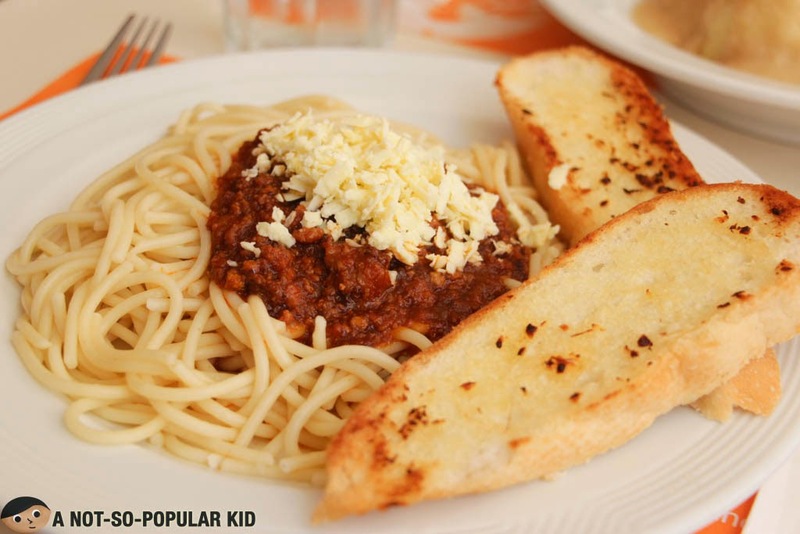 Spaghetti with Meat Sauce of Pancake House - generously meaty! Now, in order to further spice up our dining experience, we decided to order a plate of the Spaghetti with Meat Sauce. With this, I suddenly felt a wave of nostalgia -- the memories of being in a handaan where the pinoy spaghetti and fried chicken were endlessly flowing. Also, the spaghetti sauce had this notable generous serving of meat! Not too salty, rightly buttery and excitingly crispy-- that is how I can describe the Pan Chicken here in Pancake House. It was something I was able to definitely appreciate. Of course, the gravy was also a superstar because it added more spark to the already awesome chicken. In its entirety, the set was really filling and considerably affordable given the price. 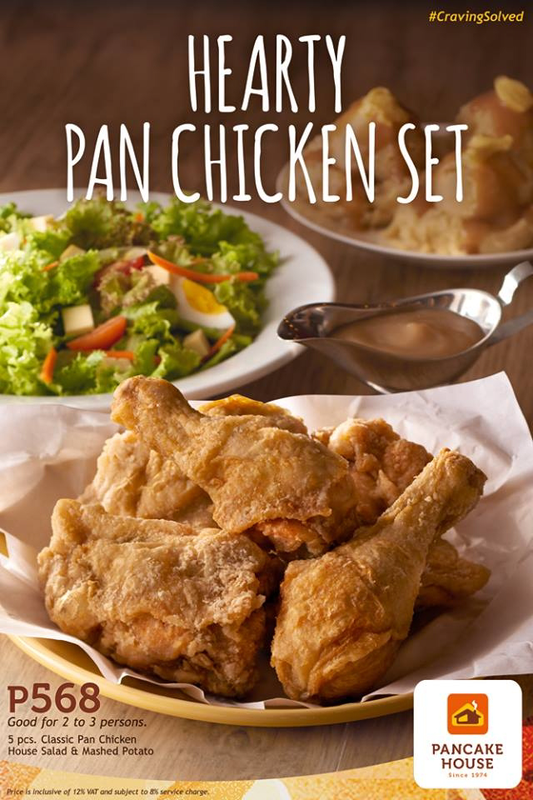 Hence, grab all the chance you can get because this Hearty Pan Chicken Set won't be here for so long.